Three years ago, Kevin Bates created a Tetris-playing business card to showcase his engineering skills to potential employers. But his creation quickly went viral on the internet, and everyone reminiscing about their beloved childhood Game Boy clamored for their own. After testing the waters with the equally tiny Arduboy, Bates has finally delivered an officially-licensed Tetris MicroCard. If you've got $US60 ($79) to spare on a tiny machine that plays a single game, you're going to want this in your wallet. 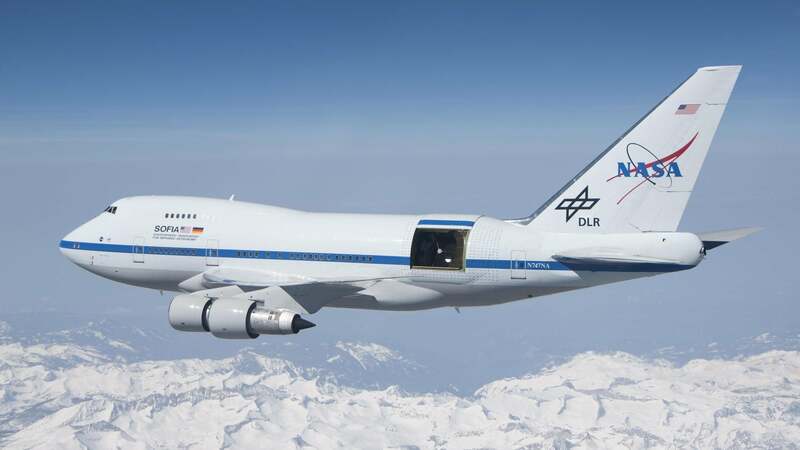 As thin as a credit card? Not quite, try ten of them instead. Measuring a little over three inches by two inches in size, the MicroCard is only slightly bigger than a standard business card, and can easily be smuggled inside a card case. But don't expect to squeeze too many other cards in there alongside it. 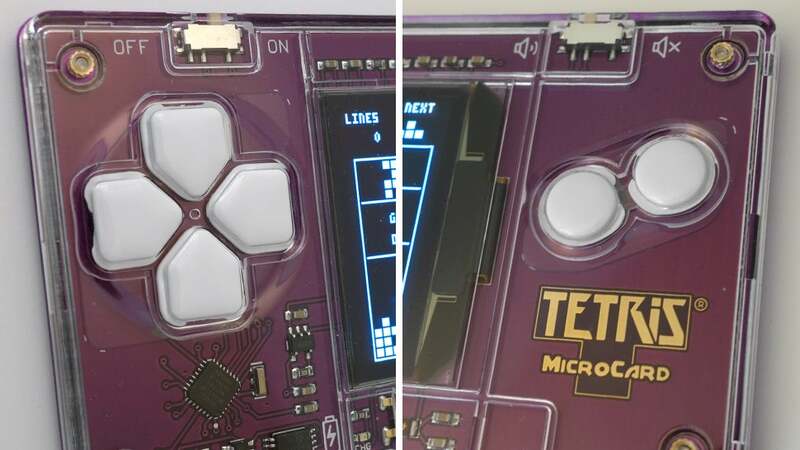 Kevin Bates' original Tetris-playing business card might have only been 1.6-millimetres thick, but this consumer-friendly version measures in at five-millimetres, thanks to a set of physical buttons, and a clear plastic housing that protects all of its exposed electronics. The MicroCard plays a basic version of Tetris, with 15 levels of difficulty and a bleep-bloop version of that addictive Tetris theme that can be silenced with a dedicated mute button. Gameplay is barebones, with none of the fancier features that have been introduced to Tetris over the years. Besides the block dropping core of the game, it includes a preview of the next piece to fall and an outline at the bottom of the screen indicating where the current piece is destined to land. That's about it. There's no ability to store a useful piece for later, and you can't pause, so distractions while playing could leave you with a real mess to clean up. 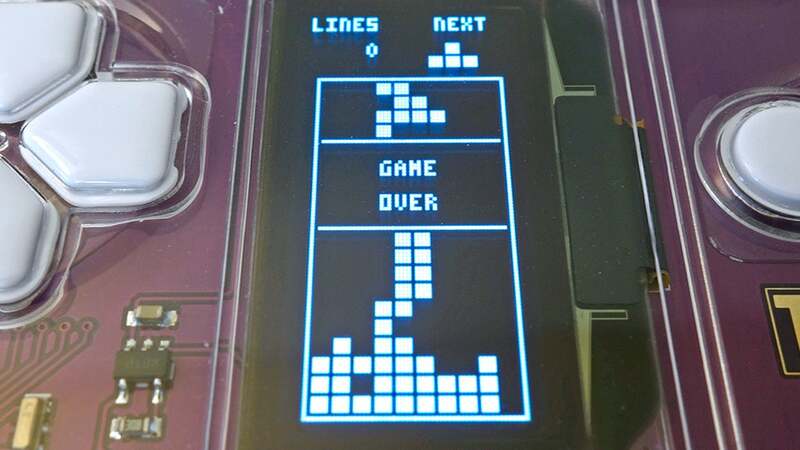 It's not the prettiest version of Tetris, but that OLED screen is bright and crisp. All of the action plays out on a bright, high contrast, 1-bit OLED display with a resolution of just 128x64 pixels. That's fewer pixels than even the original Game Boy had, resulting in one of the most basic-looking versions of Tetris you've ever played. 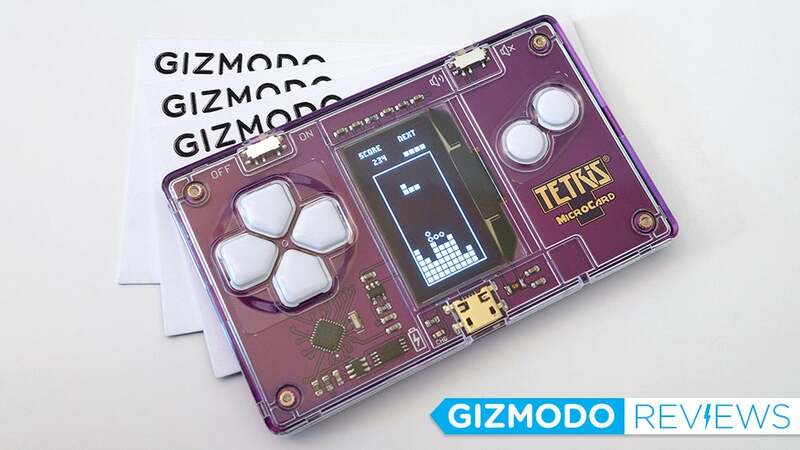 Even though the graphics can't compare to what you get on your phone, playing Tetris on the MicroCard feels more natural than on a touchscreen device because it has actual physical buttons. 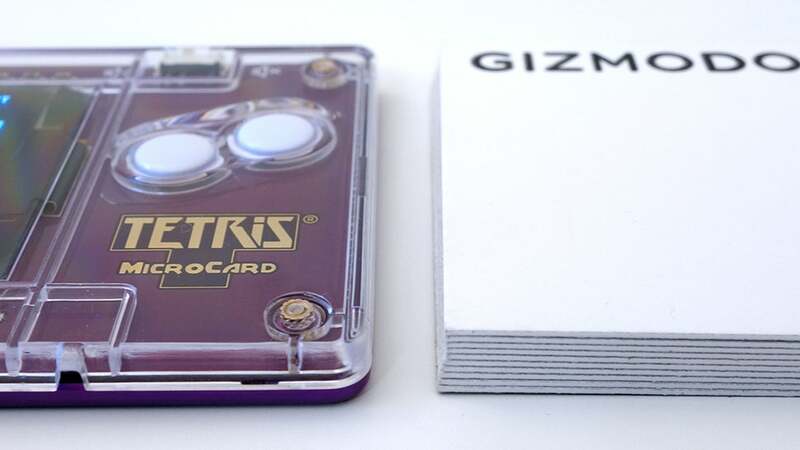 The MicroCard includes six buttons in all, four serving as a directional pad for steering and quickly dropping tetrominoes, and two for rotating pieces in either direction. Despite having limited travel, the MicroCard's buttons feel fantastic, reminiscent of the original Game Boy's. 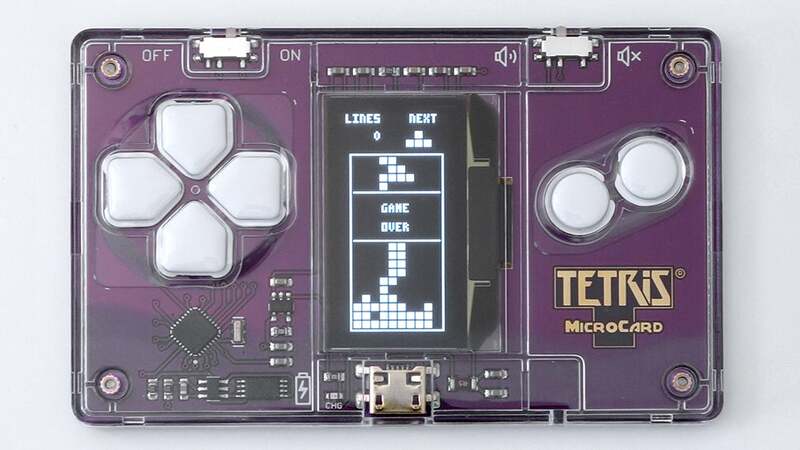 Fans of Kevin Bates' Arduboy, the first card-sized gaming machine, might be wondering if his Tetris MicroCard can be used to play other games too. Unfortunately, while that functionality was originally promised when the MicroCard was announced, it didn't make it to the final product. 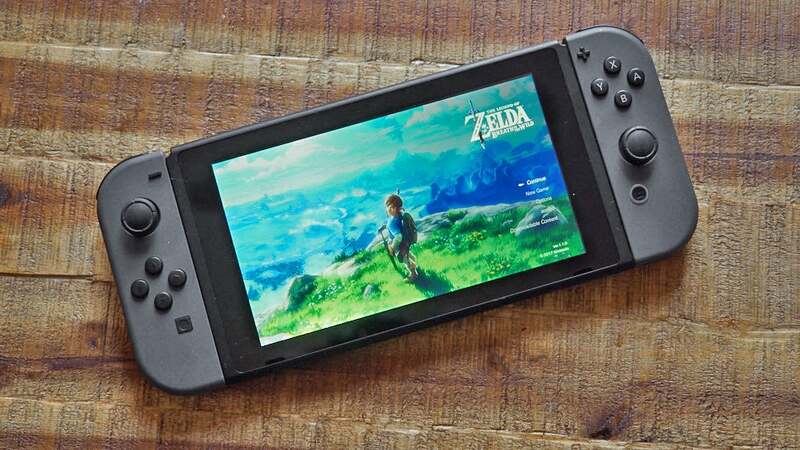 It's now designed for playing just a single game, which might seem like a deal breaker, were that game not one of the most popular titles of all time. If Tetris, or suitable clones, were available for Kevin Bates' Arduboy, there'd be little reason to pick up the MicroCard. But because of the licensing deals, the MicroCard is the only tiny Tetris player out there. 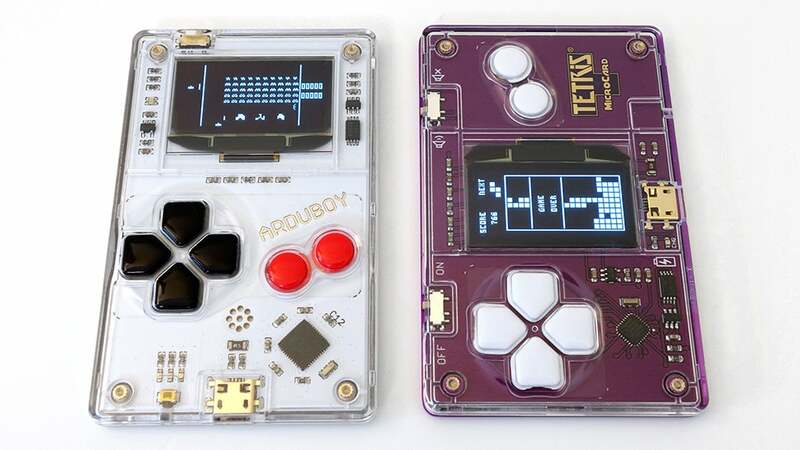 That's a little frustrating given the Tetris MicroCard could cost close to $US60 ($79) when initially available, compared to $US49 ($65) for the Arduboy which you can buy right now. What's even more frustrating is trying to get your hands on one. After a few initial delays, the MicroCard is no longer available for pre-order. 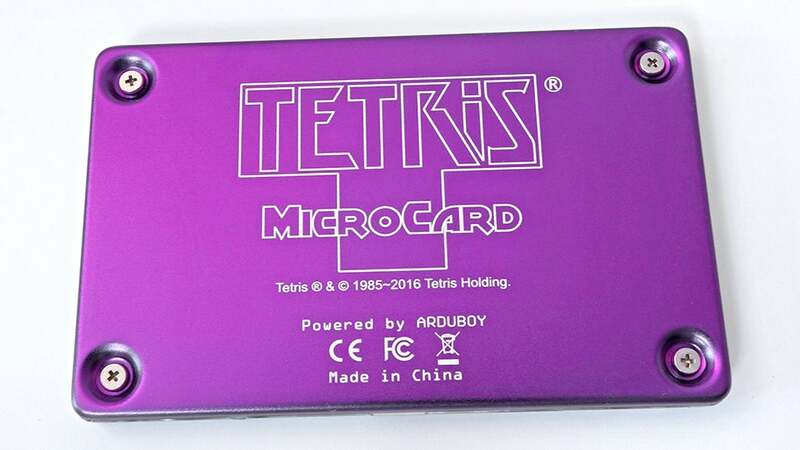 According to its creators, who are working with a distributor, the Tetris MicroCard will be available sometime in the coming months through several to-be-announced retailers. That's a little vague, but if you want a heads up about specifics when they have finally been nailed down, you can reach out via the official website. Those frustrations aside, if you're a Tetris fan, the MicroCard's landscape design and button layout just feel like the perfect home for Alexey Pajitnov's creation, and with one tucked away in your wallet at all times, you'll always have a readily available distraction. You just have to get your damn hands on it. The included Tetris game is bare-bones feature-wise, but physical buttons is how Tetris is meant to be played. 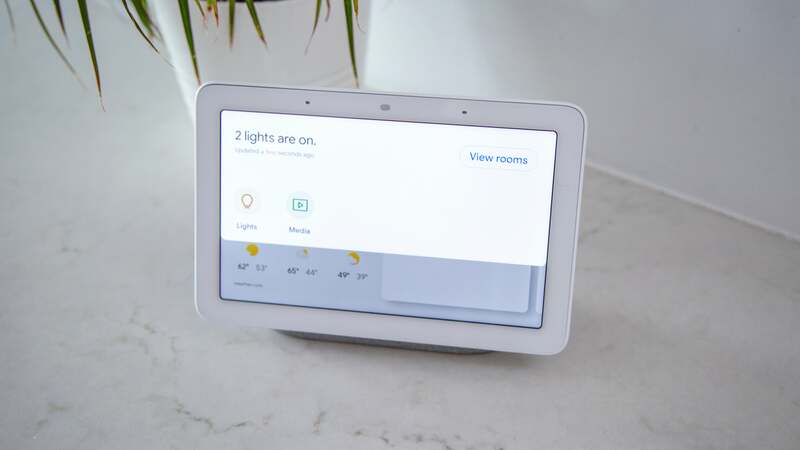 You can't actually buy one of these just yet. Although essentially an Arduboy on the inside, you can't upload other games to the MicroCard. There's no saving a game in progress, and no ability to pause the falling pieces while playing. 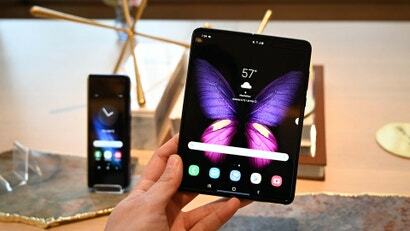 Battery life is rated at around six to eight hours on a full charge, which is more than enough to get you through a week of meetings. 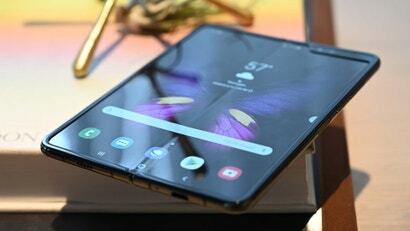 Plastic housing protects the exposed electronics, but it adds thickness, and it's easy to scratch that screen.